In October I decided it was time to do something about my obesity problem, but I knew I loved food way too much to call this a diet. When I started, I promised myself that I would be able to eat whatever I wanted and I would set my gluttonous habits aside for the weekends. My first weekend that I counted calories, it was pretty disgusting the amount of calories that I consumed just knowing that I had all weekend to eat. 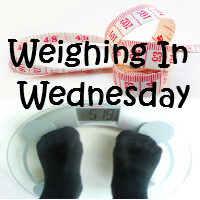 I stepped on the scales at the end of the week and I had still lost weight! It was a win. I still eat what I want on weekends, but something surprising happened. My caloric intake is now about 1000 calories less than what I ate my first few weekends. My body is starting to learn portion sizes and I feel full a lot faster than I had ever felt full before. Honestly, I don't remember feeling full for a long time. My fitbit program lets me know how many calories I can eat. I sync my fitbit and SparkPeople to help me know how much I should eat. I eat anywhere from 1200 on a low activity day to 1500 on a higher activity day. When I first started, I thought maybe Sparkpeople was trying to starve me, but now, some days I have a hard time getting in the 1200 calories. It is still odd to me how a body can change over the course of months! I am still running. My sister is still my motivation. Without her, I am pretty sure I would not have continued this torture running program. This week I am supposed to run 1.5 miles each running day, but that is too much after my 3/4 of a mile running days. I did run one mile today and I am happy with that. We all know that is one mile more than I was running at the beginning of the year. These next few weeks are important ones for me! I should be at my first goal within the next three weeks and I am so excited. I could use all the pointers, tips, tricks, and motivation that you are willing to share.